Crunchyroll - Forum - iAd in Crunchyroll Manga? 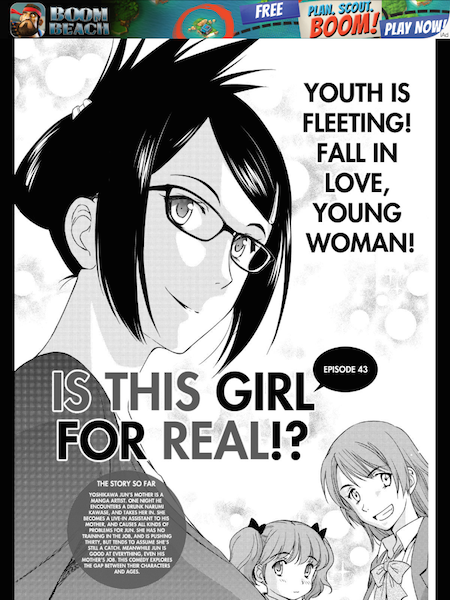 Anyone else getting an iAd banner when using the Crunchyroll manga program? I've moved this one to the Manga support section as you will get better responses there. That said, what Manga program do you mean exactly? The iPhone or Android app? Bring the coffee!! Dark as a moonless cloudy night please! Happening on my Ipad Mini running IOS8 - only started the last few hours - any title comes up with an IAD Banner. Are you sure that you are properly logged into Crunchyroll with the app? When reading the manga logged out I do see the adds on my Android device as well. Yes, the update seems to have signed me out. Logged back in and the ads are gone now, thanks very much!